Watch as I get a silk press on my natural hair for the first time at a hair salon. I even decided to cut my hair shorter after my big chop. 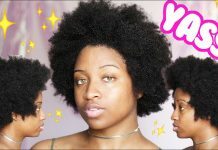 I also introduce you guys to one of the stylists I mentioned from my natural hair journey video as requested. She gave me my first ever hair color and taught me what I need to know about maintaining healthy hair. 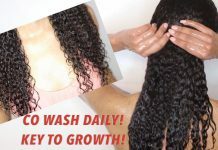 Today she’s going to wash, treat, blowout and silk press my natural hair. 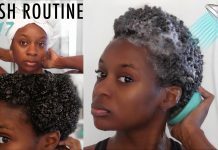 I get all the answers to the questions you guys want to know as she shares some some of her tips and techniques to ensure the best care for your natural and transitioning hair. Also let me know in the comment section, if you guys have any video requests you would like me to fulfill. ➨ How to Master The Perfect Twist Out Every Time! ➨ MY SIMPLE WASH DAY ROUTINE Start to Finish!